The Annaite Book Light Eye-caring LED desk lamp provides gorgeous, soft lighting for the home, office or dormitory. 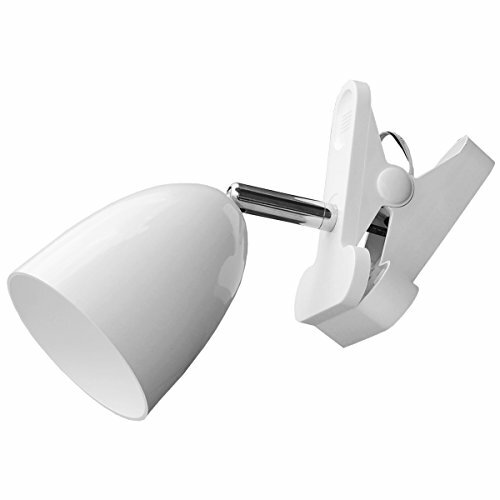 Upgraded with new features for greater functionality, the light is a versatile, ergonomic and eye-friendly solution for your lighting needs. From the 360° lamp head to the flexible arm and rotatable base, the lamp can be adjusted to light up virtually every available space in a way that other desk lamps cannot. In addition to its versatility, the design of the lamp means that it never hurts your eyes as the light panel reflects light back on itself. This ensures that the resulting light is soft and stable without ghosting, glaring. Energy Efficient: LG5630 LEDs, low power consumption, long lifespan, safety and environmentally friendly. Eye-protection: no flicker, no dark area and no ghosting and low HEV, Eliminate the visual fatigue caused by the stroboscopic of traditional light source. Flexible Light Head: 360° rotation Minimalistic design with a flexible head to optimize your lighting source and you are able to adjust the head of lamp angle as you wish. Sturdy Clamp: Sturdy clamp allows great versatility; mount to bedframe, nightstand, dorm room furniture & accessories, home office tables, bedroom desks, or study areas. If you have any questions about this product by Annaite, contact us by completing and submitting the form below. If you are looking for a specif part number, please include it with your message.